This feels old to me. It looks old. It has a "27" on the base which may be a date, and it has this wonderful mark which I can only see as a rabbit with whiskers. It is rough stoneware clay with lots of impurities/inclusions but it runs through a gamut of colours from the light yellow to the black. Does it ring any bells with anyone? 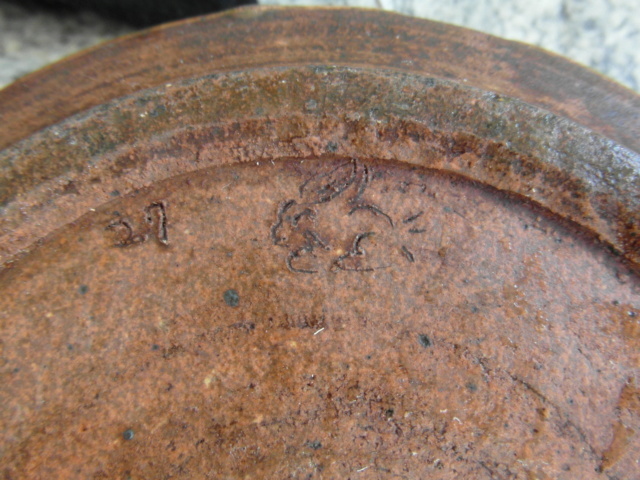 The bowl looks old and the mark is wonderful, as you suggest, but more like a rabbit with flatulence to me. Nothing to suggest that the bowl is not British other than the mark but...…. ? I would love you to be right but I am very skeptical. She decorated: she decorated earthenware: she didn't throw, and the colours are at completely the opposite end of the spectrum. Her rabbits are much more realistic than mine as well, mine definitely having been scribed into the wet clay, seemingly sitting and farting (consensus) as opposed to gambolling. I don't think the number is the date. 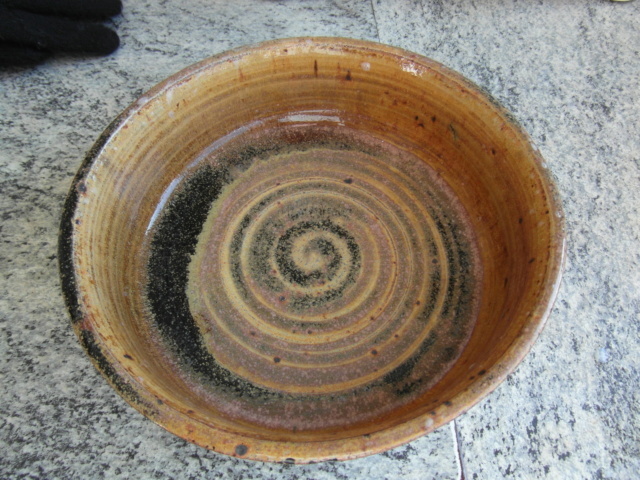 Although the bowl is "old" if it is British then the stoneware body is not right for 1927. The rabbit is used as a symbol/mark in oriental pottery too but then the number doesn't fit. It is most confusing but I agree that there is nothing to suggest it is Jessie King. How do you mean that the stoneware body is not right for 1927? That brownish stoneware body is something that I have not seen used in pre-War British ceramics. Pre-war it tended to be more of the fawn colour you still see. 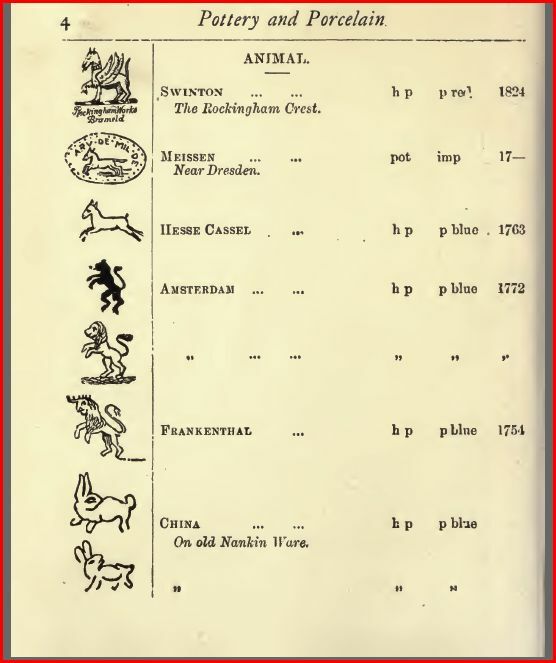 I know this is an old thread now but I was researching an inscribed Rabbit on an old jug that I have and I found this page from the Hooper Phillips book of 1894 - not exactly 20th Century forum - but thought it was interesting. I've seen another piece today, in a shop in Saffron Walden near Cambridge, with the same farting rabbit mark. The jug looked as old as my bowl and the rabbit was of the same design but slightly different because it was hand-etched. I am beginning to wonder whether it might have been by an amateur craftsman potter who had been enthused by the release of the Bernard Leach Potter's Book in 1940. I say this because I bought my wheel from the widow of a gentleman who had taken up pottery after reading the book when it first came out. When I went to pick the wheel up the lady showed me all the pots that the gent had made which still filled many shelves in their house. I tried to buy an example but she wanted to keep the pots and just pass the wheel on to someone else who would use it. The wheel was old and rusty but my, then, youthful enthusiasm turned it into a thing of beauty. When I unveiled it to my wife and kids it reminded me of the scene in Chitty Chitty Bang Bang when Caractacus Potts wheels CCBB out of the garage/workshop for the first time; the colours were similar, and it could fly. I think there could be a novel here, if you fancy writing it!! I hope we find out the potter's identity eventually.